Every summer, families pack their bags and head on vacation. For some, it's a chance to unwind and relax. For others—like fifth-grader Marcella Motilla from Los Angeles—it is an opportunity to further her acting training with A.C.T.’s Young Conservatory. 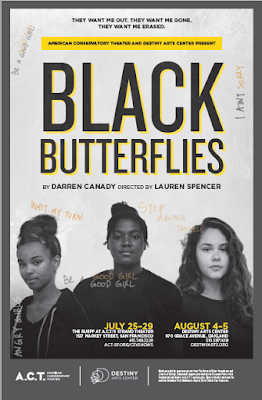 Black Butterflies, which runs through July 29 at The Rueff at A.C.T.’s Strand Theater, aims to bring those stories into the light. This world premiere production centers on three young girls of color who find themselves caught in a stifling web of educational neglect, calcified courts, and an overwhelmed incarceration system. Pushed out of society, they must fight to survive with their humanity, dignity, and individuality intact. It’s easy to spot Miguel Ongpin, A.C.T.’s Head Carpenter. Just look for his signature orange baseball cap or listen for his booming laughter. When in doubt, head towards his shrine: a collection of posters—including John Sayles’s Lone Star—that Ongpin brought to liven up his backstage kingdom. 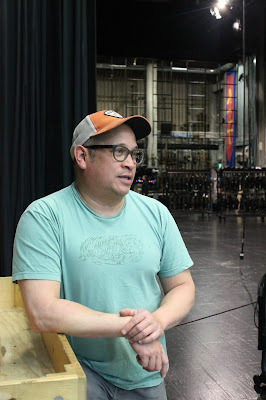 Before a performance of Battlefield, we sat down with Ongpin to get some insight into the life of a theater’s stagehand and carpenter. How did you get into theater? July and August at A.C.T. sees the arrival of the 2017–18 season’s fellows. All year, the fellows work in A.C.T.’s many departments, from artistic and marketing to education, development, and more. They are a part of the mainstage productions, the New Strands Festival, the Downtown High School Residency program, the season gala, and the M.F.A. Program and Young Conservatory productions. From the keyboard of a former fellow, here is some advice for our incoming colleagues. Take advantage of every opportunity that comes your way. Work in the VIP Lounge, usher in the theater. Attend the conservatory hours. You never know, you may get to share an elevator with Tom Stoppard, exchange emails with Annie Baker, or show A Thousand Splendid Suns author Khaled Hosseini to his seat. Thank you for playing your part in our 50th-anniversary season! Here are our top ten highlights from a year full of mainstage performances, visits from theater legends, new works, conservatory classes, and community days. 1. Kacee Clanton (Janis Joplin in A Night with Janis Joplin) singing the national anthem at a San Francisco Giants game. 2. Visits from theater legends Tom Stoppard and Peter Brook, M.F.A. Program alumni Annette Bening and Mark Harelik, and stars Georgia Engel and Darren Criss. 3. The Ma-Yi Theater Company's residency at the New Strands Festival. Ma-Yi playwrights included Lauren Yee (The Great Leap), Don Nguyen (The Man From Saigon), and Dustin Chinn (Snowflakes, or Rare White People). 4. Our 50th birthday party at The Geary, complete with our own ice cream flavor, courtesy of Humphry Slocombe. 5. The publication of A Five-Act Play: 50 Years of A.C.T. by our resident dramaturg Michael Paller. Soul singer Janis Joplin—the musician at the heart of A Night with Janis Joplin, running through July 16 at The Geary Theater—blazed a trail for female musicians. But here are four other trends that Joplin started that you may not know about. One: Joplin was the first female singer to perform barefoot. Now, almost every female singer seems to do this: Taylor Swift, Alicia Keys, Beyoncé, Florence Welch, and Patti Labelle, to name just a few. Two: Joplin began the trend of celebrities recruiting famous artists to tattoo them. San Francisco tattoo artist Lyle Tuttle gave Joplin a tattoo on her left wrist in 1970. He has also tattooed Cher and Joan Baez. Three: Joplin introduced the autoharp (a chorded zither) to popular music. Autoharp was frequently used in blues and country music, but Joplin helped bring it to the attention of rock musicians. 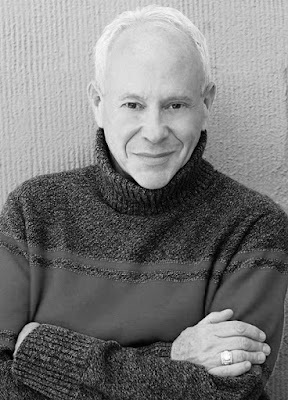 The music world is a sweet spot for Randy Johnson, the creator and director of A Night with Janis Joplin, which is currently running through July 16 at The Geary Theater. Johnson has created productions about Conway Twitty, Keely Smith and Louis Prima, Tammy Wynette, George Jones, Carly Simon, Elvis Presley, and Patsy Cline. But soul singer Janis Joplin holds a special place in Johnson’s heart. As Johnson prepared to bring A Night with Janis Joplin to The Geary Theater, we caught up with him to talk about discovering the hidden side of Janis. You’re known for productions focusing on iconic musicians, but A Night with Janis Joplin has a more personal connection for you. Why?